This article addresses a few misconceptions that come up in relation to informed consent, for example, that doctors need to give inserts, or a list of vaccine ingredients, to get informed consent for vaccines, or discuss VAERS and VICP (I’ve addressed some of it in the past ). It does not address the claim that mandates violate informed consent or that liability protections do – I have also addressed both in the past. Our system values personal autonomy. In 1914, a woman went to the doctor to examine a tumor, and agreed to have it examined under ether – asleep – but expressly did not agree to its removal. After the doctor found the tumor was malignant, he removed it (you have to wonder if the wishes of a male patient would be so disregarded. Maybe, at the time, but less likely). The woman sued in tort, claiming battery – unwanted harmful contact. She won. In words that ring through the decade, Judge Cardozo said: “Every human being of adult years has a right to determine what shall be done with his own body; and a surgeon who performs an operation without his patient’s consent commits an assault for which he is liable in damages.” (See Schloendorff v. Society of N.Y. Hospital, 211 N.Y. 125, 129-30 (1914)). Our protection of people’s control over their body has only gotten stronger. Non-consented treatment is still a battery. In many other cases, there is consent, but a person argues the consent is flawed – she did not get enough information to make a meaningful decision. Allegations of flawed consent are the basis for most informed consent cases. Not all of these are always applicable – for example, many vaccines don’t have alternatives, and diagnosis is generally not relevant in the vaccines context – but the applicable parts need to be conveyed. It should go without saying that the information provided needs to be accurate. Misinformation is a violation of informed consent. It’s a lot less clear how this should be done. When is written information enough? What kind of discussion must be given? It’s clear that some opportunity for discussion or discussion is crucial. But how much? And by whom? For example, in a decision from Summer 2017 the Supreme Court of Pennsylvania decided that physicians cannot delegate informed consent to members of their staff (see the decision and criticism here). On this, there are conflicting views. At least at the level of documentation, informed consent on vaccines is better covered than many other areas. Under the National Vaccine Injury Compensation Act of 1986, documents detailing the main relevant aspects of informed consent – vaccines’ risks and benefits, and more – are required to be given to a vaccinated individual or their guardian before vaccinating. The Vaccine information Statements (VIS) are short, accessible, and generally accurate. They are made after a regulatory process that includes a notice and comment process as required in §553 of the Administrative Procedures Act: the government publishes notice, gives opportunity for comments, and then publishes an explanation for its final rule. This means that as long as federal law is followed, patients get an accessible, accurate document giving them the facts they need for informed consent – and additional facts, like information about what to do if there’s an adverse reaction, including reporting to the Vaccine Adverse Events System and how to file a claim with the Vaccine Injury Compensation Program (example). If federal law is not followed, that’s a problem. The act does not include a clear penalty for violators, and it likely should. For example, the act could clearly say that not giving a VIS before vaccinating can lead to provider liability for lack of informed consent. Is giving the VIS enough? Arguably, if a patient gets the VIS, gets time to peruse it, and a chance to raise questions and complaints, the minimal requirements of informed consent are met. It might be advisable to make sure patients get the VIS before the visit – so they have a better chance to peruse it – or that the doctor go over them orally with the patient. But there are other constraints, including the need to do other things beyond vaccines in the visit and the shortness of visits, and not all patients may want or need that level of detail. I would say ideally, the VIS would be given in advance, so the patient has time to look at it. But giving the VIS and an opportunity to ask the doctor questions provides enough information, I think, to cover informed consent. In addition, doctors should not actively misinform patients. For example, doctors should not imply or say that vaccines cause autism, SIDS, or other things studies show they do not cause. If a doctor is deviating from recommendations – for example, by not recommending a hepatitis B vaccine for infants – the doctor should make it clear that they are deviating from the recommendations of professional bodies, and likely should also provide a VIS in those circumstances, to give a parent a chance to consider the view of experts on the topic. How helpful would the document be to the parent? 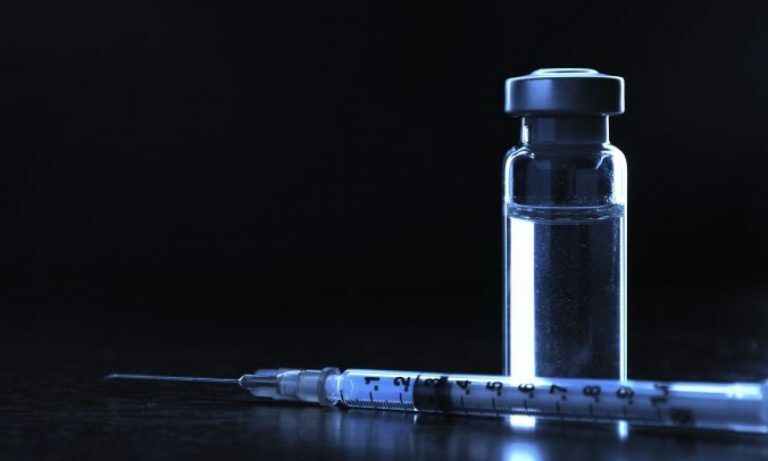 Even a clever, well informed parent will likely find a lengthy legal document both unhelpful as an informed consent document and intimidating, potentially creating hesitation in giving their child life-saving insulin. This is just as true in the vaccine context. Inserts are not accessible, and are not written for lay people. While they are easily available online to those who want them, for most patients, they are not going to help the informed consent process, and can only serve to intimidate. Inserts have other very serious drawbacks as informed consent. First, and very importantly, inserts by design do not include a vaccine’s benefits. They do not tell parents why they should get the vaccine, or the risks of not getting it. That makes the insert irredeemably flawed as an informed consent document. It simply does not include a major aspect of the information parents need to make a decision. Second, inserts are legally required to list all adverse events reported that meet certain criteria, whether or not they are caused by vaccines. This mean they list things not caused by vaccines. One example is that the Varivax insert lists “teething” as a reported event. Do vaccines cause teething? Of course not. But it’s listed (pdf). Similarly, a no longer used insert lists “SIDS” (right after listing car accident and drowning) as a reported event – even though the same insert explains that the rate of SIDS in the trial population is actually lower than in the general population, suggesting, if anything, a protective effect– and studies also show vaccines don’t cause SIDS. Listing these events can mislead parents into thinking they’re among the vaccine’s risks, when that’s just not true. In that, the insert can misinform and undermine, rather than promote, informed consent. Finally, inserts do not always reflect studies not done by the manufacturer, or subsequent research. For example, inserts for Tdap often include language that suggests that there is no research on its safety in pregnancy. In reality, there are multiple such studies. In other words, the insert is a lousy informed consent document. It’s unwieldy and easy to misread by a lay person (see also). It does not include some of the most important information needed for an informed decision – why should anyone get a vaccine, what is the most current research. And some of the information it does include can mislead, for example, listing reported events the vaccine does not cause. Note that an explanation both VAERS and VICP are included on the Vaccine Information Statement. But some anti-vaccine activists claim that they should be included in the informed consent process. For all these reasons, doctors are not expected to give you that information when you come in for a surgery. For similar reasons, it’s not information that needs to be part of your informed consent process for vaccines with your doctor.